Each Memorial Day, I’m grateful that I have no one directly related to me to mourn. I am related to many veterans, mind you. My father, stepfather, both grandfathers, husband and even an ex-husband served in the military. So did a number of my friends. They all survived that service. Thank god. And I realize how lucky I am. Because I’ll never forget watching my dad scanning the Vietnam Wall in D.C. for the names of his fellow soldiers, his friends. It’s one of the very few times I’ve seen my dad cry, and it was then that I realized just how horrific war must be. And how hard it must be to survive it. And I remember attending a memorial service for a young man from this small town on the Oregon Coast shortly after I moved here. He had just graduated from high school. His mother and father both served. But even that did not prepare them for the pain of losing their son. I attended another service one year to the day later for the young man’s mother, who had shot herself at his graveside. So, today I think not only about those who gave their lives in service to our country, but also those who are forever changed by war. 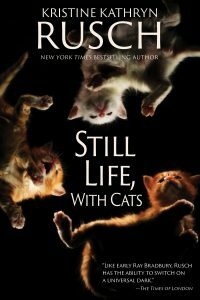 Kristine Kathryn Rusch has written several stories about veterans, but the one most resonated to me as I wrote this is “Still Life, With Cats.” It’s a story about war, loss, and survival. And in honor of Memorial Day, it will be available here until my next publisher’s note has posted. 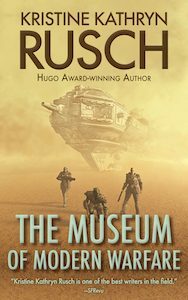 And if you want to read another fantastic story about the horrors of war, click here to read “The Museum of Modern Warfare,” which is her Free Fiction for this week. While I can’t thank those who gave their lives for my freedom, I can thank all of you who have been touched by such a loss. My heart goes out to you all.